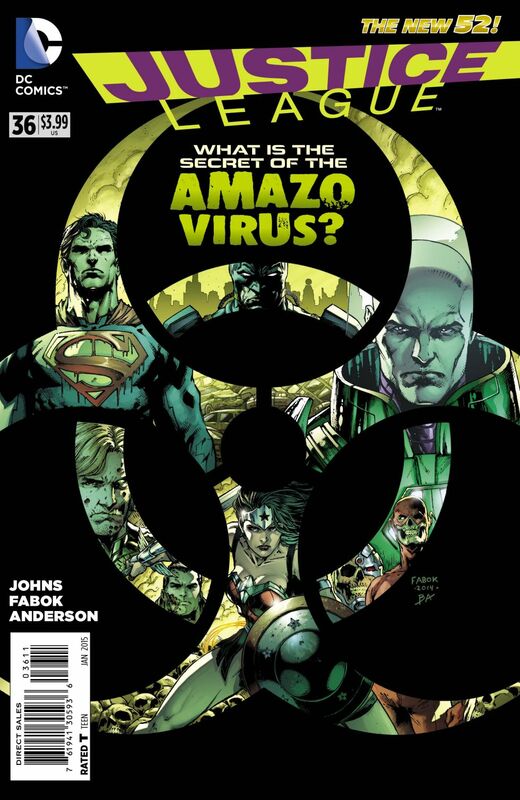 Geoff Johns kicked off his next superhero epic, “The Amazo Virus,” in the pages of today’s Justice League #36. 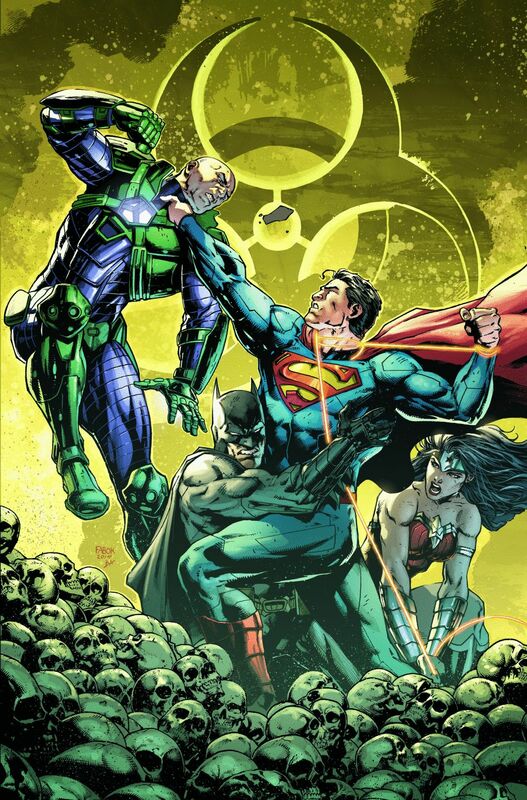 With new series artist Jason Fabok riding shotgun, Johns is sending the League on one of its deadliest adventures yet. In fact, much of the arc’s story will revolve around the reformed super villain. The Amazo Virus was revealed to be prototypical Superman deterrent in Justice League #35, but was kept on ice due to it’s instability. The ramifications of holding such a deadly virus will “blow up in his face,” according to Johns. The virus holds other deadly secrets that Johns will reveal as Luthor tries covering his tracks. In Pre-New 52 continuity, Amazo was an android equipped with all of the Justice League’s unique abilities. Whether or not this story will end with in a new adaptive robot remains unclear. But the storyline won’t be all gloom and doom. Johns promised one his most strangest team-ups yet, between Wonder Woman and Captain Cold. It’s a partnership so strange, the writer said, that even the characters remark on it. Justice #36, Part One of The Amazo Virus, is on sale now.